Mehmet Şükrü Kuran received the B.S. degree in Computer Engineering from Yildiz Technical University, Turkey in 2004, the M.S. degree in Systems and Control Engineering, and the Ph.D. degree in Computer Engineering from Bogazici University, Turkey in 2007 and 2012 respectively. Between 2013 and 2014 he worked as a Postdoctoral researcher in LINCS research center at Telecom ParisTech, France. Currently he is an assistant professor in the Computer Engineering Department of Abdullah Gul University, Turkey. 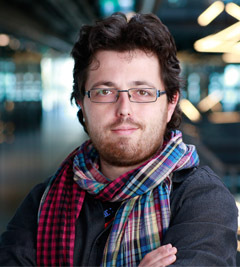 He also works as a part-time lecturer in Bogazici University, Turkey. He has co-authored more than 20 publications in various journals and conferences including high rank journals such as IEEE Communication Letters, IEEE Communication Magazine, IEEE Transactions on Smart Grid, and Elsevier Computer Networks.